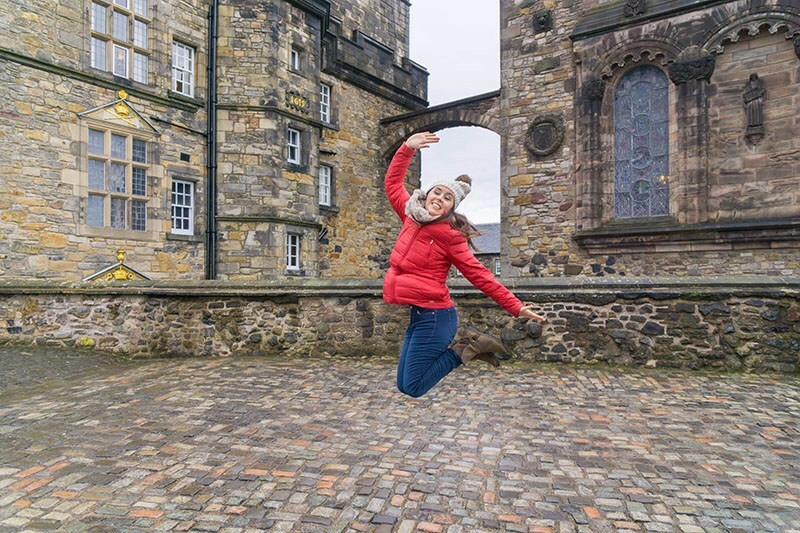 Heading to Scotland and wondering what to do in Edinburgh? 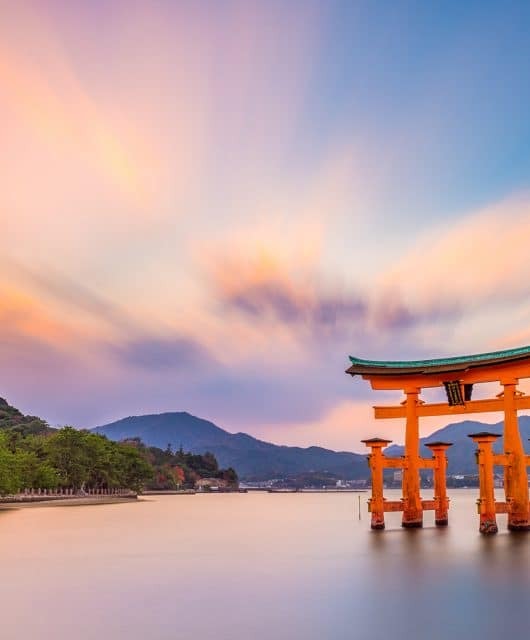 Be sure to check out these top sites and enjoy this beautiful and ancient city! I was lucky enough to have a few days after my visit to Ireland to hop across the pond and visit Scotland. I lived here with my grandma years ago when I was 9 and I have been anxious to return ever since. I can’t believe it’s taken me 10 years to return (wink, wink). Getting to Edinburgh from Ireland was cheap and easy, only costing me 23 Euros and a 1-hour flight! Also if you’re already in Scotland, I highly recommend that you hop a cheap flight to Ireland as well and follow this perfect Ireland itinerary. Sometimes flights to London can be much cheaper from the US than flights to Edinburgh. 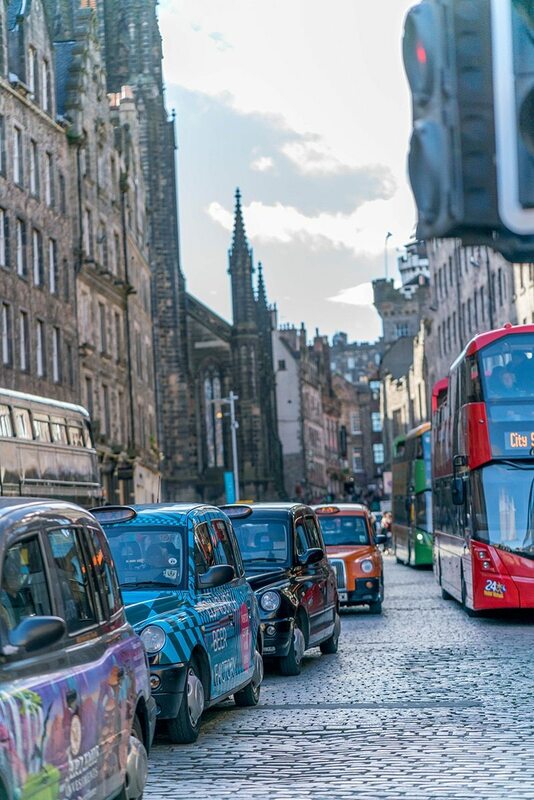 A great cost-effective way to get there is to take the bus or train from London to Edinburgh, with fares as low as 20 pounds. There is so much to see all around Scotland, like the Isle of Skye , Glasgow, Inverness and more, but I used Edinburgh as my starting ground. I fell easily in love with this city that is a perfect combination of ancient and modern with a healthy dose of charm! 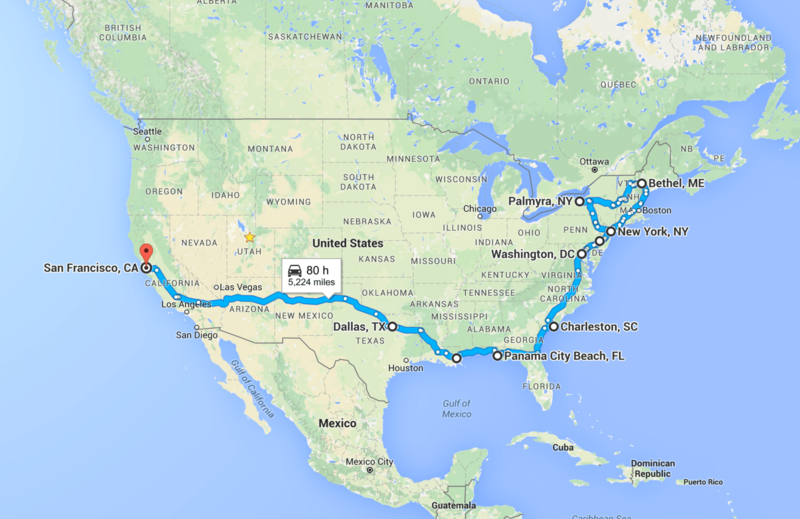 Since this was a last minute trip, I hadn’t had much time to do research. 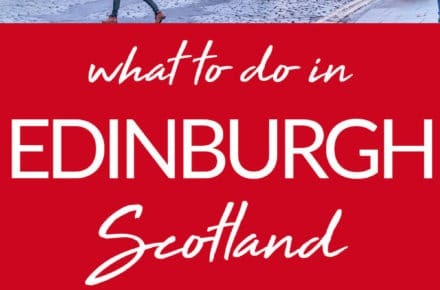 I thought a basic “What to do in Edinburgh” post would be helpful for someone using the city as a base for their Scottish explorations. 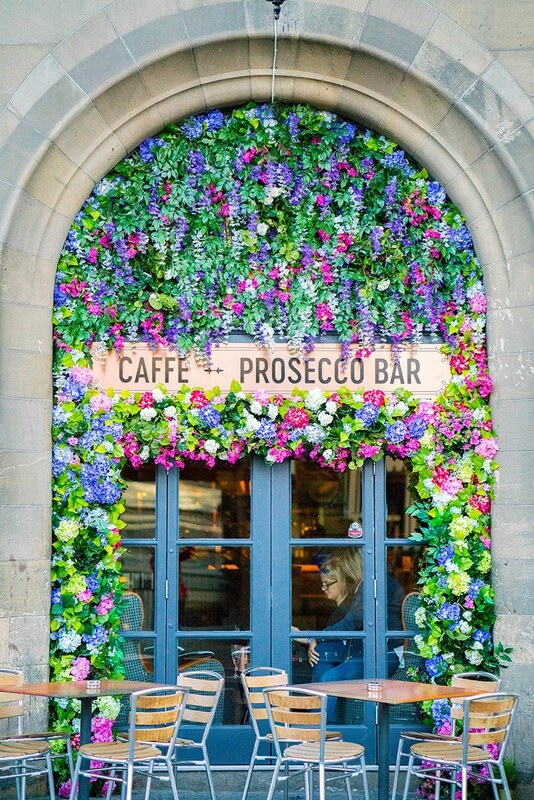 If you’re heading to Scotland, don’t miss Edinburgh and these awesome things to do there. This iconic castle on a hill dates from the 12th century and is home to some of Scotland’s most famous history. Be sure you head to the great hall where presentations can be seen throughout the day. I had a great time watching a musician, costume and all, teach us about medieval instruments. 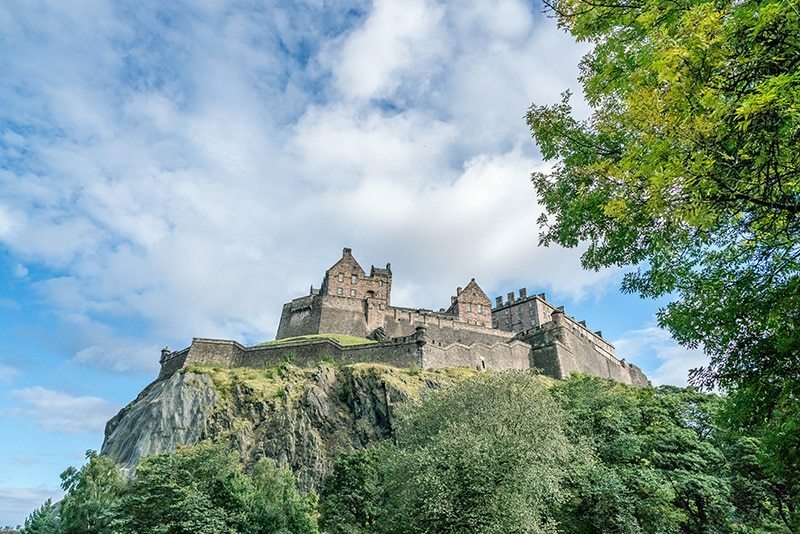 If you’re a fan of Scottish history, including Mary Queen of Scots, you’ll especially appreciate this magnificent castle, and it’s even more magical during Christmas in Edinburgh. Visit the birthplace of magic, where J.K. Rowling wrote the first five books in the Harry Potter series. You can see where she gained inspiration for Hogwarts and the magical wizarding world when you check out the view outside the cafe window. The cakes are yummy and affordable. 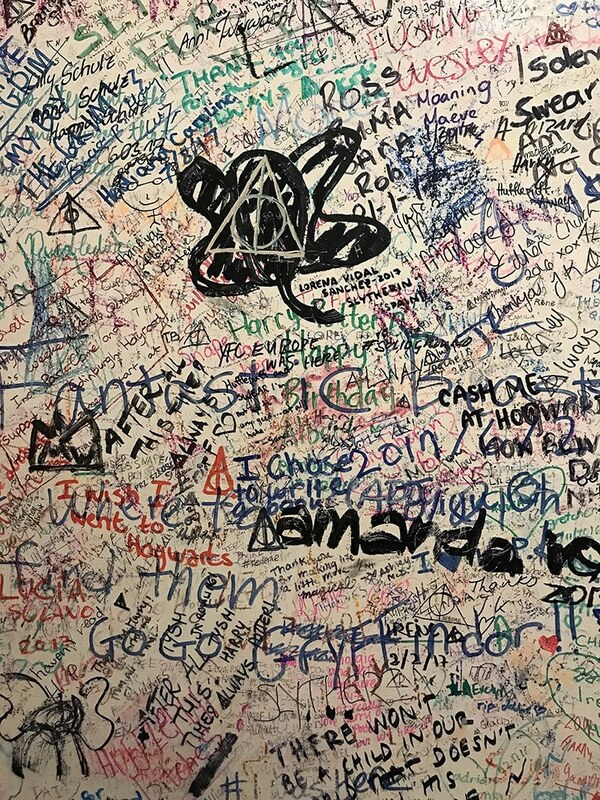 Be sure to take a trip to the toilets to see the Harry Potter fan love all over the walls! J.K. Rowling’s view as she wrote the first 5 Harry Potter books. Harry Potter Fan Art in the Toilets! 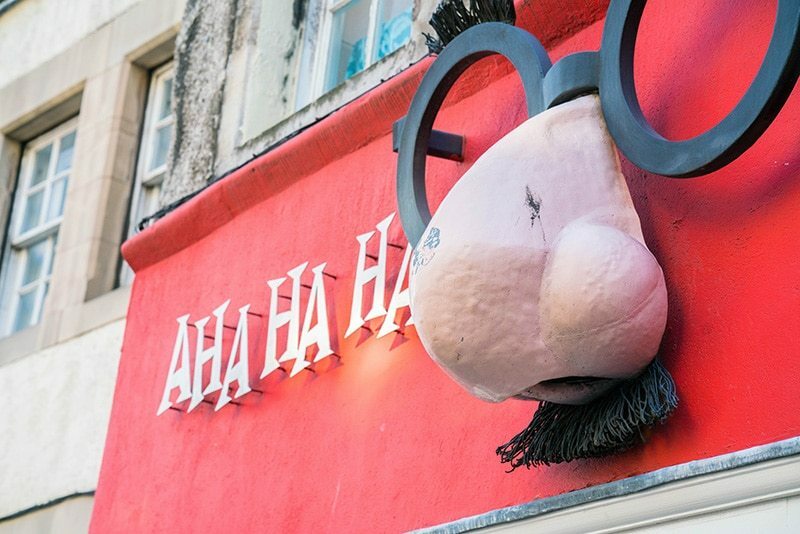 Don’t miss this colorful street full of cute shops, including several Harry Potter stores and a joke shop named Ahahaha! It’s one of the many streets in the UK that claim to be the inspiration for Diagon Alley, but I think this may be one of the best contenders. Be sure to visit the top of Victoria Street above the shops for an incredible view of this curved street. 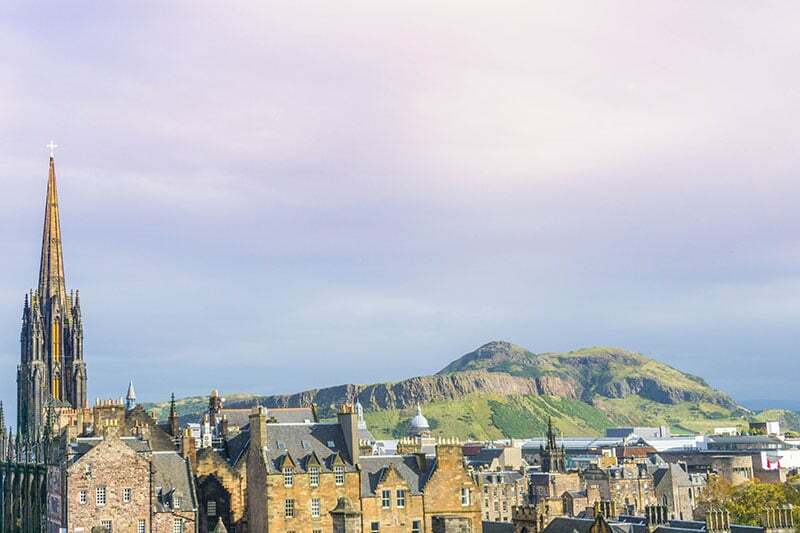 Edinburgh is a city built on several hills. The main peak of the Edinburgh hills is called Arthur’s Seat, deriving its name from the legends of King Arthur. It’s a fairly easy walk up and the views are worth it. Try to get there at sunrise if you can! 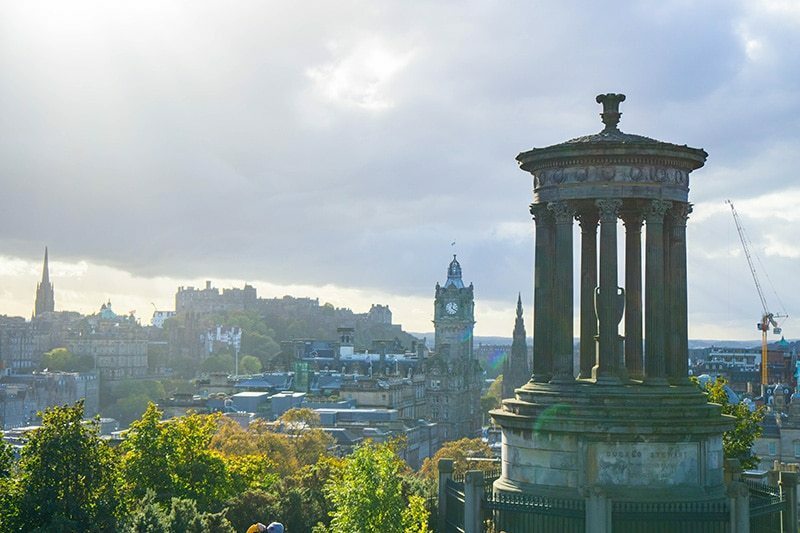 Another Edinburgh hill, Calton Hill is full of monuments and incredible views. You can’t miss the Athenian Acropolis jutting out in the skyline atop the hill. You’ll also have a great view of Arthur’s Seat from here. 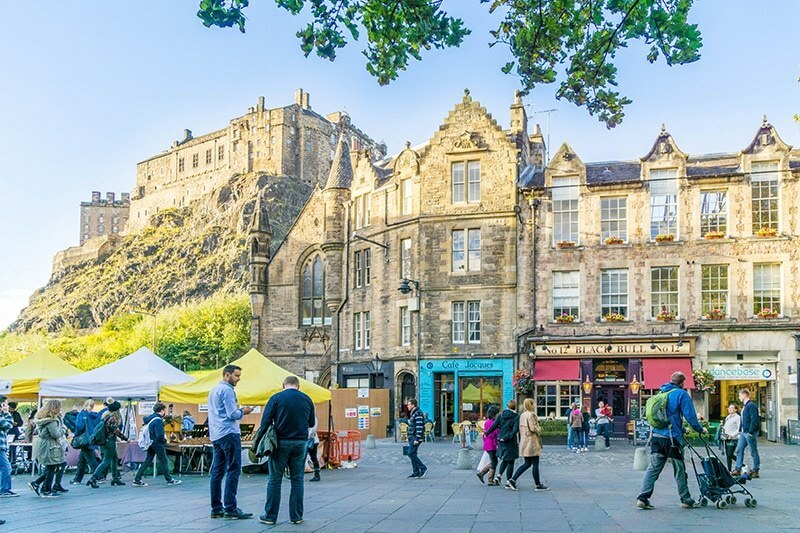 Running approximately one mile between Edinburgh Castle and Holyrood Palace are the streets and shops that make up Edinburgh’s Royal Mile, which consist of Castlehill, the Lawnmarket, the High Street, the Canongate and Abbey Strand. 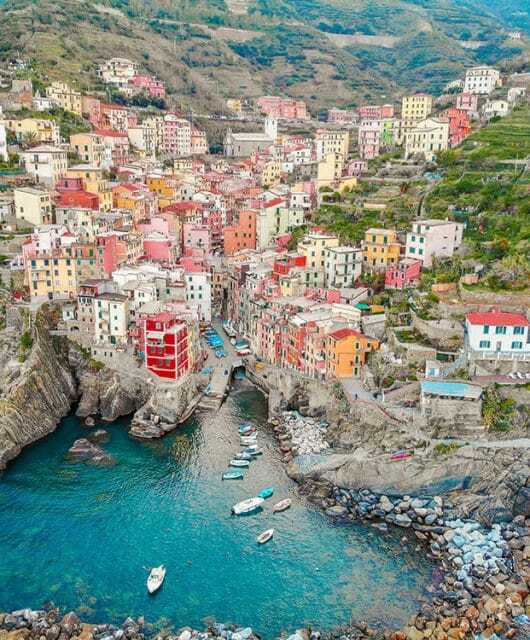 It’s full of adorable shops and beautiful views. 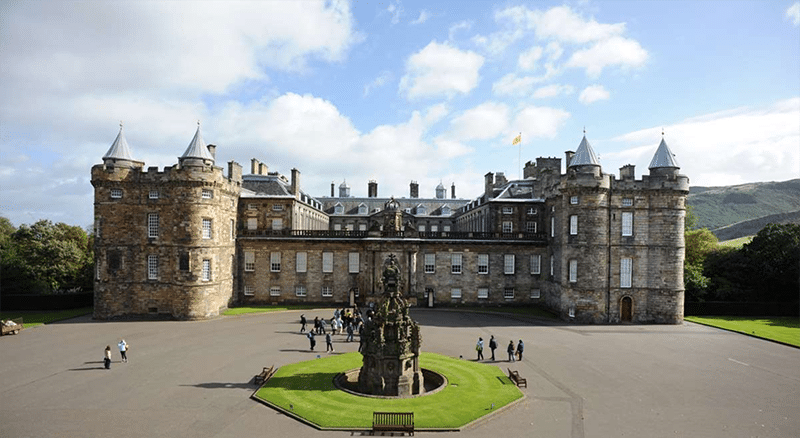 Palace of Holyroodhouse is the residence of the British monarch in Scotland, Queen Elizabeth II who stays here one week a year to carry out official business and ceremonies. You can tour the palace and also see the 16th century Historic Apartments of Mary, Queen of Scots. 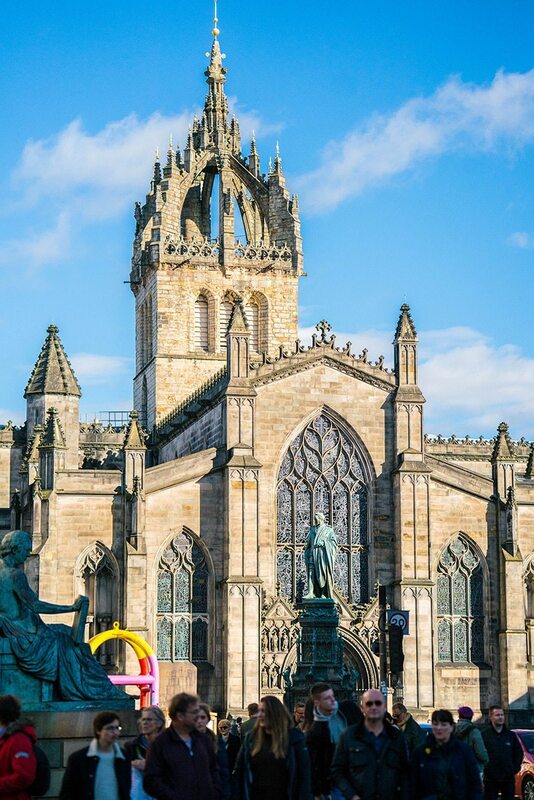 This 900-year-old church which was once a Catholic church, is now the main place of worship for the Church of Scotland in Edinburgh. 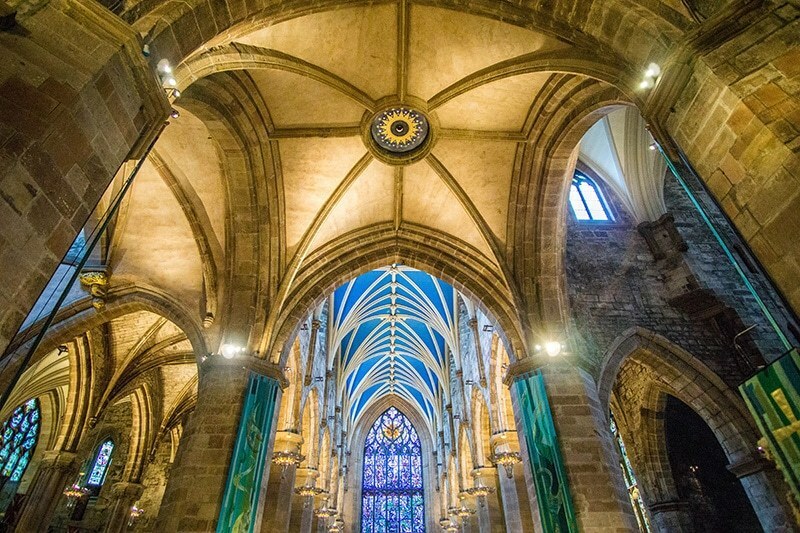 Wander around and take in the incredible architecture and stained glass. If you want to take pictures of the inside there is a 2 Euro fee, but it’s worth it as the colors are just incredible. At over 200 feet, this monument to Sir. Walter Scott is the largest monument to a writer in the world! You can’t miss its huge spire on Princes Street. 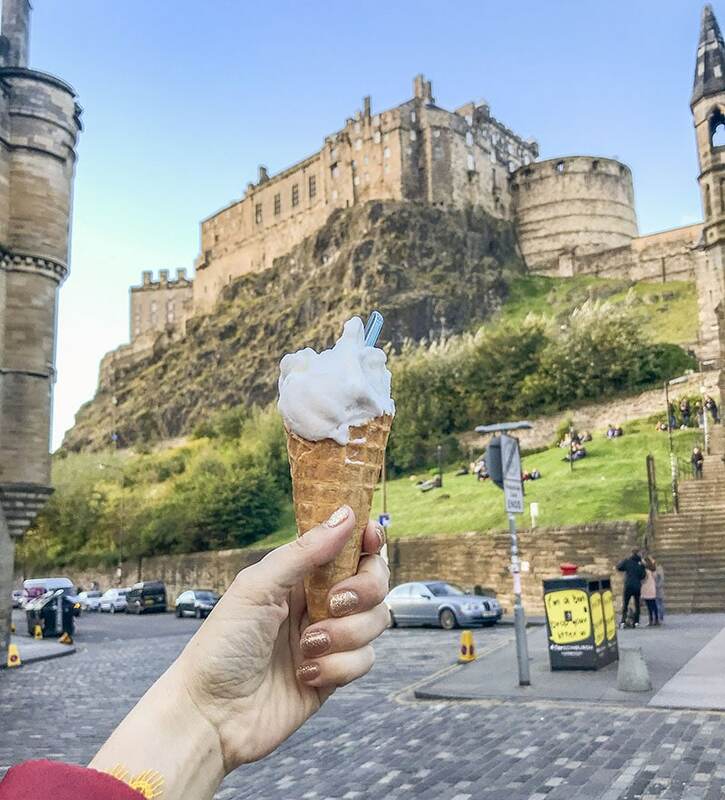 This historic market at the base of Edinburgh Castle is a great place to shop for souvenirs, grab an ice cream, and take in the view! 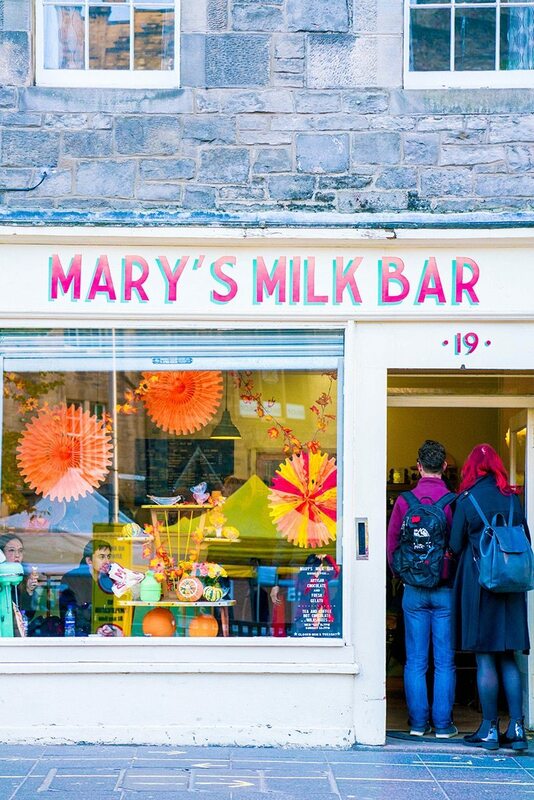 Be sure to visit Mary’s Milk Bar for a creamy treat! 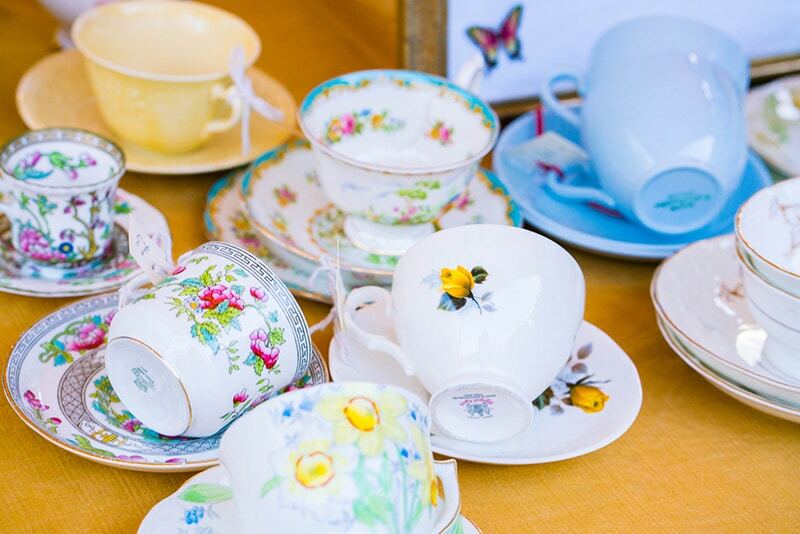 We found beautiful vintage china (for cheap! ), handmade scarves, leather bags, and cheese, just to name a few. 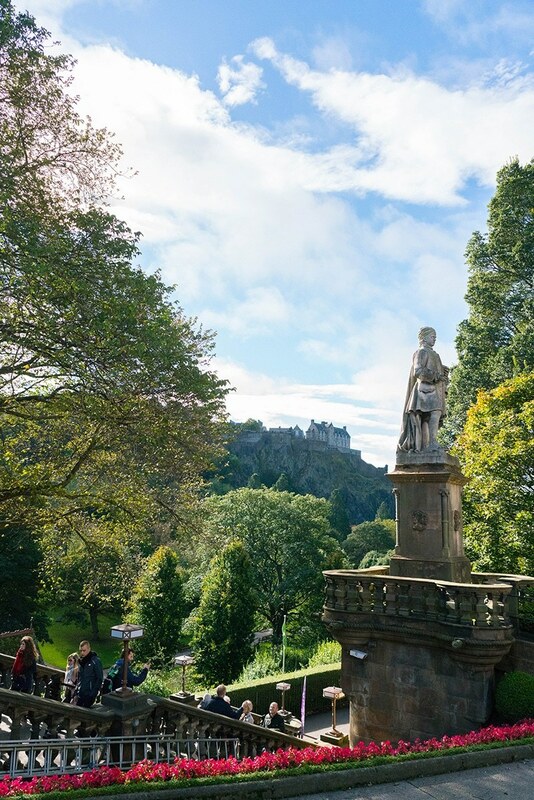 This public garden in the shadow of Edinburgh Castle runs parallel to Princes Street along with the railway. Escape the busy streets and wander the garden below the city in the shadow of the castle. 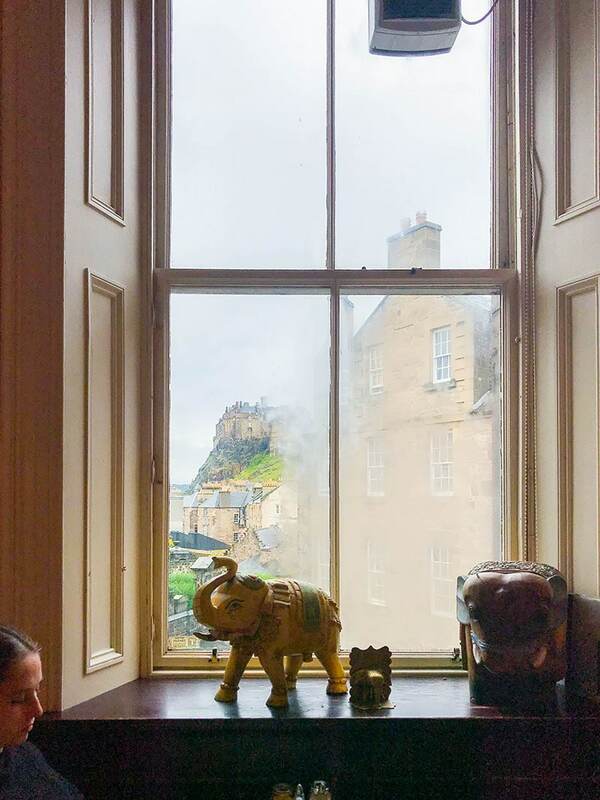 There is so much to see and do in Edinburgh, but your time will be best spent taking in the beauty of the ancient walls by wandering from each of these sights. 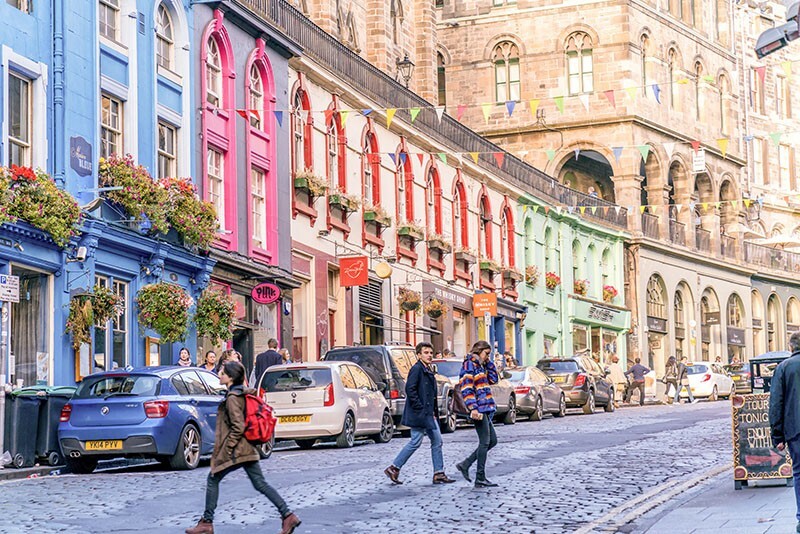 Edinburgh is an easily walkable city and that will be the best way to see the city and feel as if you’ve stepped back in time. 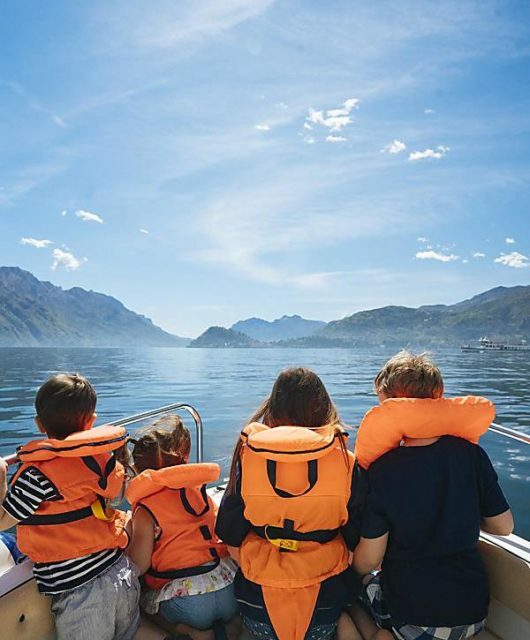 These are all great ideas for your first visit. 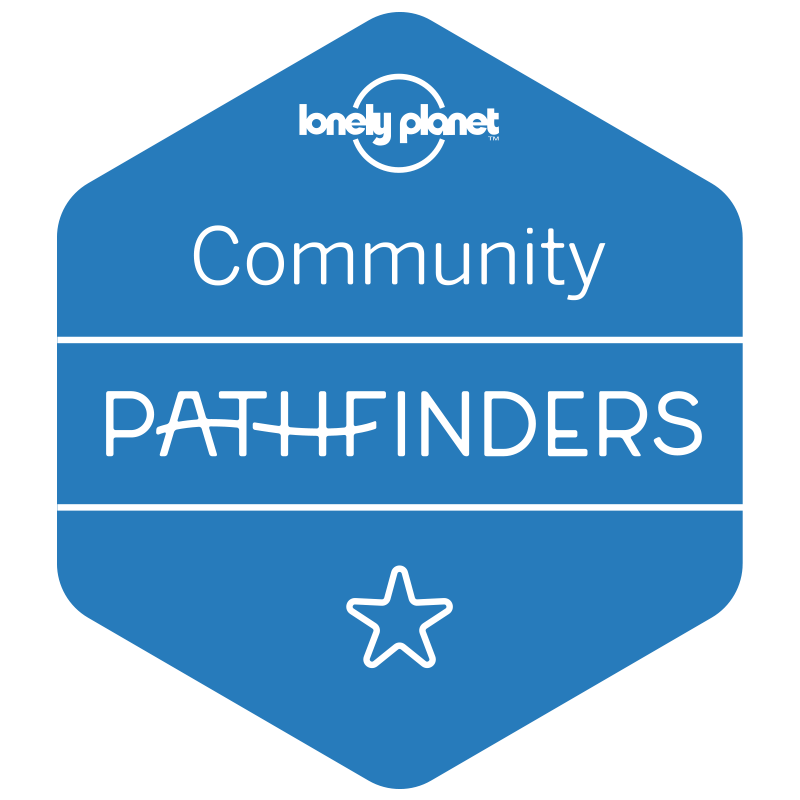 But there are also a lot of amazing off-the-beaten-path things to do in Edinburgh. 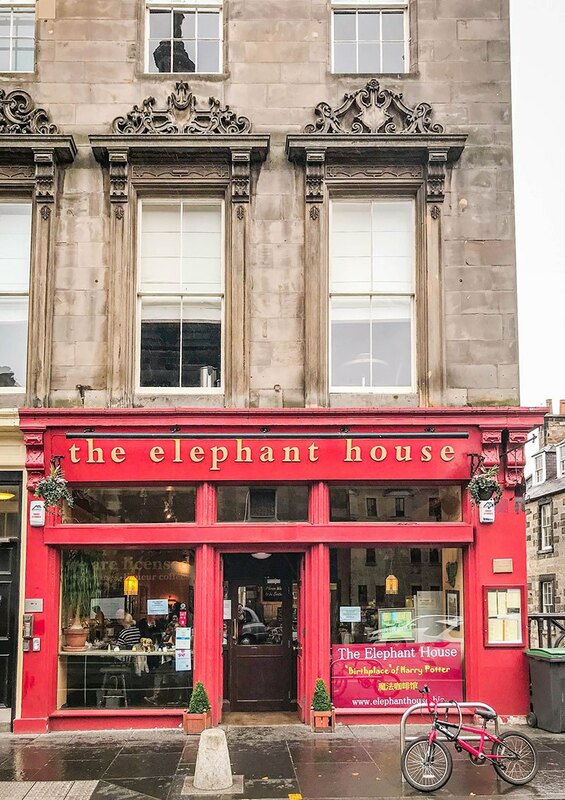 Have you been to Edinburgh? Anything I should add to this? I’ll be heading back to Scotland with my whole family in a few months. I welcome all suggestions! I’d love to hear from you! Leave a comment, email me, or find me on Facebook or Instagram. I’m really enjoying the theme/design of your weblog. Do you ever run into any internet browser compatibility problems? A couple of my blog readers have complained about my site not operating correctly in Explorer but looks great in Safari. Do you have any recommendations to help fix this problem? 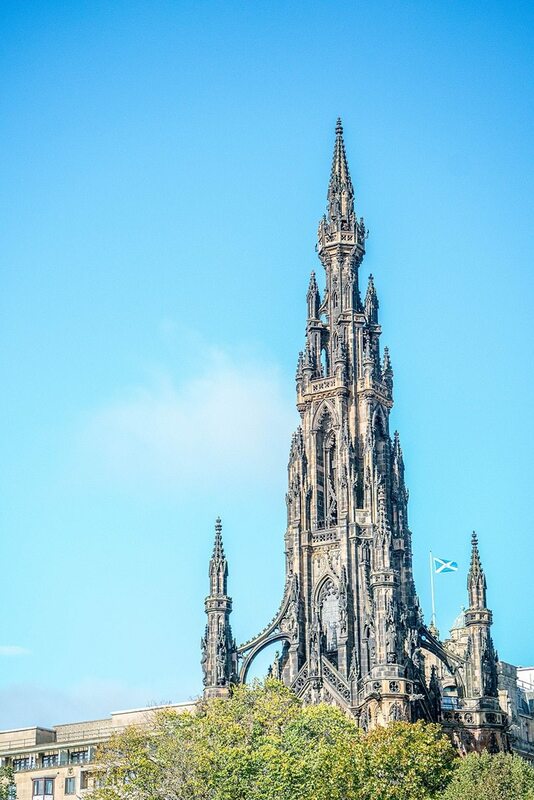 Scott Monument looks so cool! Thanks, great post! Pretty element of content. 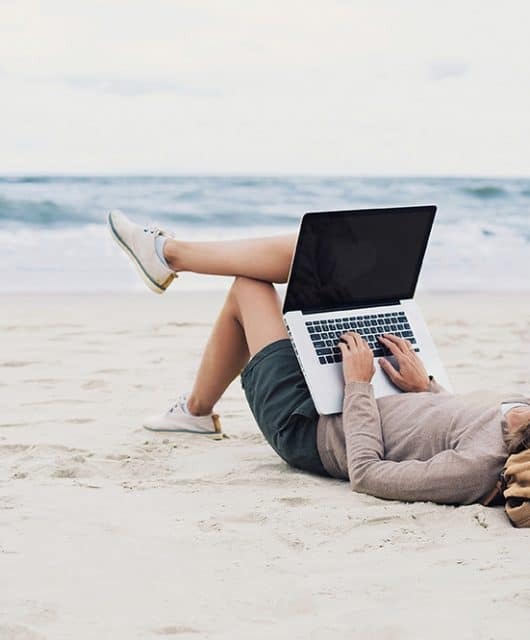 I simply stumbled upon your web site and in accession capital to claim that I get in fact enjoyed account your blog posts. Anyway I’ll be subscribing on your augment or even I achievement you get admission to consistently fast.